Come winters and we all have bags of dates lying around the house. Have to admit, that besides the amazing healing properties of dates, we eat them mostly because of their delicious taste. Packed with hosts of nutrients, vitamins, energy and minerals, dates are not only highly beneficial for overall well being, but also promote anti ageing benefits for your skin. 1. Packed with vitamin C and vitamin P, dates help in maintaining and improving the elasticity of the skin. Regular consumption of dates helps to keep the skin firm and younger. 2. The nutrients present in dates increase the power of subcutaneous tissues that promotes smooth and supple skin by retaining the moisture levels of the skin making it hydrated and younger. 3. Dates contain pantothenic acid that helps to stave off the damage caused to the skin by free radicals thereby reducing the appearance of fine lines and wrinkles. 4. 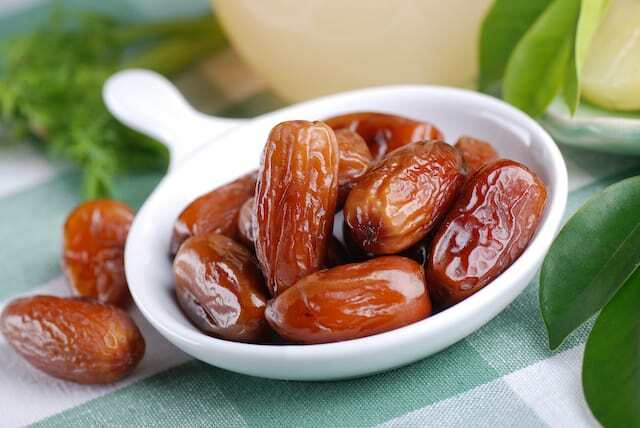 Loaded with vitamins and minerals, dates help to promote healthy nourished skin reducing stretch marks, regulating the production of melanin and repairing damaged skin. 5. The nutritional and anti microbial properties of dates make it not only great to promote skin health from inside, but are also popular for rejuvenating and regenerating the skin when applied topically. Soak the dates in milk for about 2 hours and then blend it together with grounded oats and honey. Apply the paste on a clean face for half an hour to get a well-hydrated firm skin. Dates are a miracle fruit with tons of nutrients and minerals that are not only good for our overall health but also provide some amazing beauty benefits. So grab a few of these sweet candy like fruits and include them in your daily diet.